Facebook has been no stranger to privacy concerns, but the company may be walking into a minefield with its newest plan. Taking a cue from Twitter, Facebook announced that they are will begin partnering with media organizations so that when people on Facebook are talking about specific events those conversations can be embedded in the media organization’s Public Feed or used on television broadcasts about certain events. It has yet to be seen how the public will respond to the new features on Facebook, but this post will let you know the basics of the new plan. In short, Facebook has launched two new tools for searching real-time conversations that it will make available to certain media partners over time. The first is a Public Feed API that will display a real-time feed of posts that contain a specific word or phrase. The real-time feed will only pull posts from Pages and Profile that have ‘Follow’ turned on. The second tool is a Keyword Insights API that can aggregate totals for posts that mention a specific term during a given time frame. The anonymous, aggregated data will show results based on gender, age and location. The plan is not without merit. Though people tend to think of their social media pages as very individual, the truth is, people often talk about the same things. On Facebook in 2013, 245 million people posted about the Super Bowl, 125 million posted about the NBA Finals, and 26 million people posted about MTV VMA’s (no breakdown of how many posts were specifically about Miley Cyrus). Just capturing a small percentage of these posts to show trends in the public would be valuable information for media organizations. As was mentioned in the opening, Twitter is already does this with tweets. Facebook is starting small, and their new tools will only be available to a few of their larger media partners, specifically, Buzzfeed, CNN, NBC’s Today Show, BSkyB, Mass Relevance, and Slate. These organizations will incorporate the results into their broadcasts and online coverage about sports, events, politics and the like. According to their news release, Facebook is “beginning discussions with other media partners and preferred marketing developers (PMD’s) and will make it [new API features] available to additional partners in the coming weeks.” So if the plan is popular, people should expect to see more of it. The question still remains as to how the public will receive these new features. Facebook has made an effort to address privacy concerns, but this doesn’t mean that people won’t still be upset (as Facebook has learned many times in the past). People tend to treat Facebook differently than Twitter, seeing Twitter as something for talking to anyone and everyone who’ll listen. Facebook is seen as a tool for communicating with friends and family. There’s a chance that the first time someone sees their Facebook post on the Today Show without their specific authorization, it could be trouble. As the social media market becomes more competitive, Facebook is looking for new ways to leverage their massive user base and to give the platform even more revenue sources. While these two new features won’t be of any benefit to regular marketers for some time, there are other changes in the works that may be more helpful. 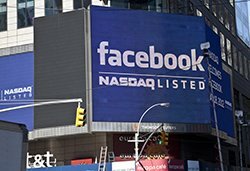 For example, there is a rumored plan for Facebook to sell 15-second, TV-style advertisements that can be shown on users’ newsfeeds. All of these changes will have to face the court of public opinion and marketers should pay careful attention to how such efforts are received. Social media platforms allow companies to get much closer to their audiences in a way that was impossible in the past, but businesses and the public are still trying to decide how close is too close.